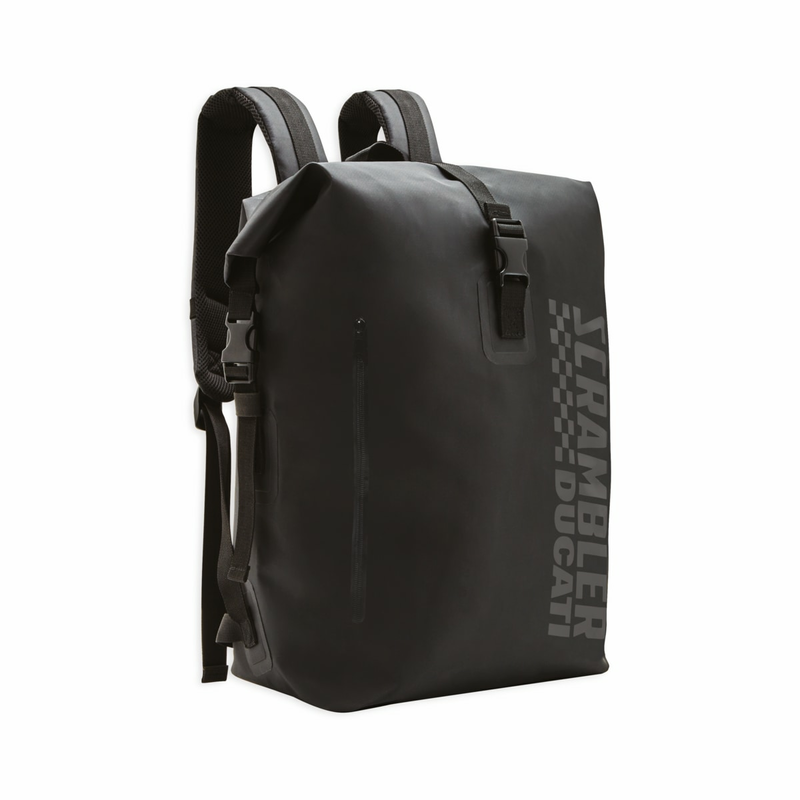 Total black water resistant knapsack. Understated look with tone-on-tone print and pocket with water resistant zip, padded and ergonomic shoulder straps. The inner padded compartment is designed specifically to fit and protect your laptop. A must-have for those bikers who love to hit the road regardless of the weather conditions.